The name of this Network is the North Africa and Middle East Science centers network (NAMES), a nonprofit organization. This is a bilingual, Arabic and English, network. All correspondences and official papers shall be drafted in Arabic and/or English. NAMES aims to democratize science throughout the region by enhancing public understanding and involvement in science among an increasingly diverse public by means of informal education. The purpose of creating NAMES is to foster cooperation between member institutions and individuals with the aim of benefiting from, and maximizing upon, the collective available resources and experiences within the region. Networking and collaboration within the region and with the rest of the world enhances the knowledge of the dynamic and ever-changing pace of science and technology necessary for achieving the common goal of science democratization. The network also aims to help establish new science centers and museums, as well as science communication initiatives and projects, in all countries of the region. Identifying the current situation, means and venues of science communication throughout the region. Promoting best practices, supporting effective communication, and encouraging excellence and innovation in informal science learning. Providing professional development for the science communication field in the region, collaborating to enhance the performance of those involved in the field, and making best use of all available resources within the region. Spreading the message of informal education and strengthening the position of science centers/museums within the community at large. Emphasizing and popularizing the cultural and scientific heritage of the region. Creation of common promotional and educational publications. Collaboration in the fabrication of hands-on exhibits. Sharing in the production of planetarium shows and/or arabized versions of existing shows. Organizing and implementing collaborative training courses, seminars, and conferences. Upon signing the MoU and initializing the IR, members are required to pay fees on an annual basis; the value changes according to the BoD’s decision and members are notified accordingly. The membership is activated automatically upon receiving the full amount of the annual membership fees or semiannual membership fees in case the joining process is completed by the end of the second fiscal quarter. Full membership is opened to both for-profit and not-for-profit institutions and organizations in the North Africa and the Middle East region that are involved in science communication on permanent basis. Said institution or organization needs to be established and operating; with an ongoing informal learning activity that serves the purpose of science communication to the general public, whether directly or indirectly. Individual membership is only opened to individuals who are scientists, scholars, researchers, writers, and/or working in the field of science and technology, and/or their communication in North Africa and the Middle East region. Membership withdrawal notifications must be sent to NAMES Executive Director, or President, as well as NAMES SO. Membership withdrawal is automatically accepted and effective at the end of the ongoing fiscal year, noting that membership fees already paid will not be reimbursed. 4.1.1 In addition to the President and the immediate former President, the BoD consists of five members that are elected from among the Full Members for a two-year term that can be extended. 4.1.2 The BoD appoints among itself, and by vote, the Vice-President and the Treasurer. 4.1.3 The Board also appoints an Executive Director from among member countries of NAMES. In the absence of an Executive Director, the President acts as Executive Director. 4.1.4 The BoD meets at least once a year. The President calls for the meeting by a written invitation, including the meeting agenda, sent electronically at least 30 days before the meeting date. The meeting is valid if the President and/or the Vice-President, and at least one-third (1/3) of other members are either present or represented. If this quorum is not reached, a new BoD Meeting should be called for not more than two days later; it will be deemed quorate regardless of the number present. 4.1.5 The BoD has the authority to annul the membership of members who act against the regulations of the Network or manifest misconduct. 4.1.6 The BoD acts as an Executive Team, working with the President, Executive Director, and SO on the implementation of the Stratigic Plan proposed by the President at the beginning of his/her presidency and approved by the BoD. As such, BoD Members support the Network by investing effort and resources in realizing the objectives of the Network. 4.1.7 The BoD has the authority to modify the Internal Regulations with the purpose of developing the Network. 4.1.8 The BoD decides on any other matter for which the actual Internal Regulations have not explicity indicated the decision body. The Executive Director is elected from among member countries of NAMES. In the absence of an Executive Director, the President acts as Executive Director. Maintain a high work ethic to ensure full transparency as well as the integrity of the Network. Further elaboration on the duties and responsibilities of the Executive Director is featured in NAMES SO Guidelines and Regulations drafted to regulate the SO's work within and with the Host, and is approved by both the BoD and the Host. The appointment of a Vice-Director is an administrative issue that is decided by the BoD when/if the need arises. It is the supreme authority of the Network; the General Assembly Meeting (GAM) is composed of representatives of the Full Members. Only Full Members have the right to vote, at the rate of one vote per member. Dissolution of the Network, designation of the “liquidator” and the destination of the association assets. 5.1.1 A biennial Conference and GAM on its own right will be held every two years in one of NAMES full members’ countries within the NAMES region. The GAM is convened by the BoD, by written notice, including the meeting agenda, delivered electronically at least 45 days prior to the meeting. 5.1.2 The BoD must also organize a GAM if at least two-thirds (2/3) of the Full Members request so. 5.1.3 The GAM is only valid if it has been summoned according to the previous conditions and if at least one-third (1/3) of the Full Members are present or represented. 5.1.4 If the required quorum is not present a second GAM has to be convened at the earliest two days later. Decisions can then be taken regardless of the number of members present. 5.1.5 Full Members unable to attend the GAM may give their proxy to another Full Member to vote on their behalf, noting that NAMES President, Executive Director, and the SO, must be informed by all proxies before the GAM. Any member attending a GAM may vote by proxy on behalf of a maximum of three other members. 5.1.6 Any proposal aiming to dissolve the Network must initiate from the BoD or at least two-thirds (2/3) of the Full Members. The BoD must inform the members at least three months in advance of the date of the GAM, which is to decide on such a proposal. 5.1.7 All decisions, except when otherwise specified, are taken by simple majority. In case of equal votes, the President’s vote finalizes the decision. 5.1.8 Decisions of the GAM must be acknowledged to all members. 5.1.9 Minutes of the GAM are documented electronically with the Members of the BoDs’ confirmation and kept by the SO. 5.1.10 Any of these Internal Regulations' items may be alerted, amended, or repealed, or a new draft of the Internal Regulations may be adopted, at any meeting of the BoD by the affirmative vote of at least two-thirds (2/3) of the entire BoD; provided that the proper notice of such meeting shall state the substance of the Internal Regulations to be alerted, amended, repealed, or adopted. The fiscal year of the Network shall end on 30 June each year, or any other date the BoD selects. All deposits shall be made in the name of the Network. Cheques, notes, drafts, bills of exchange, acceptances, undertakings or other instruments or orders for the payment of money shall be approved by any two of the following individuals: the President, the Treasurer, the Executive Director. As long as the President is acting as Executive Director, his/her signature is sufficient. 6.3.1 Full, Sustaining, and Individual Members are to pay an annual membership fee, which is subject to change according to the needs of the Network. 6.3.2 The change in fees is decided by a consensus of at least two-thirds (2/3) of the BoD. The fees are announced at the beginning of each fiscal year. 6.3.3 Fees are to be paid during the first three months of the current fiscal year. If the fee is not paid during this period, the membership will be automatically annulled unless the BoD decides otherwise in case of force majeure. 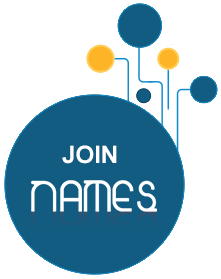 6.3.4 In order to rejoin NAMES, organizations/individuals are required to submit a new membership application. 6.3.5 Members accepted by the BoD in December or January will be invoiced for a semi-annual fee. 6.3.6 Unless the SO receives a prior notification of withdrawal, memberships are automatically renewed and new invoices are issued at the beginning of the fiscal year. 6.3.7 Members are welcome to make donations to the Network to support its operations. Donating or not donating to the Network will not affect the membership status of any member. 6.3.8 Membership fees as well as donations are non-refundable.